Digitalization: Who owns what is next? The digital revolution has dramatically changed our lives, economies and some of the most fundamental cornerstones of everyday life. Billions of people carry smartphones more capable than the most powerful supercomputers just 25 years ago.Today‘s largest hospitality provider, AirBnB, does not own a single hotel. Any individual can use social media platforms to mobilize millions to take to the streets. How is technological shift reshaping the balance of power between nations, as well as between the public and private sectors? Will digital future continue to be dominated by Silicon Valley or can other countries reposition themselves to remain competitive? Germany’s strong labor laws and traditional manufacturing bent are often depicted as at odds with digital innovation. Could the country harness these traits to catch up? Is the American head-start and venture-backed innovation model invincible? Or is it time for both sides of the Atlantic to join forces to withstand new digital tidal waves from countries like China? 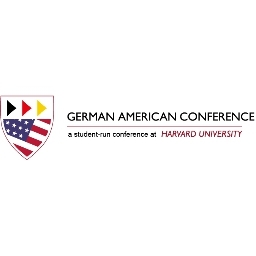 This panel explores the differences in German and American approaches to digital technology and the merits of each. Is the “Made in Germany” culture of quality engineering fundamentally at odds with the “move fast and break things” mentality of big tech? Or, can we combine innovative agility with a high bar for quality and strong labor protections to create a more sustainable digital future?